WELL, WELL, WELL: Only his pride was hurt! THREE drunken pals in Spain have become the latest viral video sensation on social media. 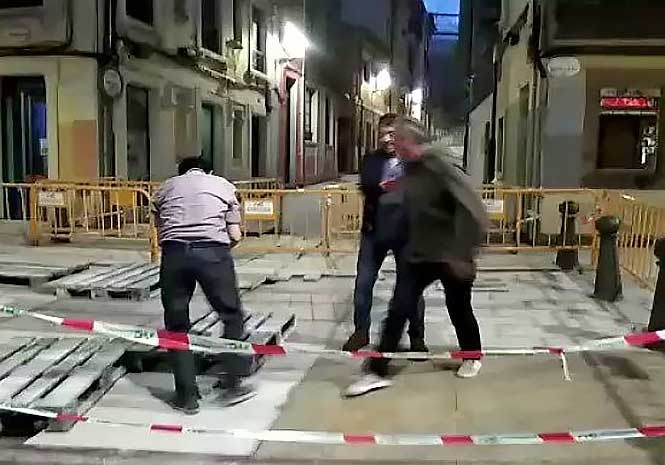 The three Asturians had been enjoying a night on the town in Gijon when they decided to explore a cordoned-off area that was under construction. They fooled around, putting on gloves and pretending to be workers until suddenly one of the group disappeared right before his pals’ eyes. It took a while for his friends to realised what had happened as he disappeared into the depths of the earth. His pals were unable to help him out of the hole he was in but, fortunately, there was a crowd of bemused onlookers on hand to haul the man back to the surface. It is reported that he injured nothing more than his pride.